Women CAN do pull-ups. This simple guide is designed to show you exactly how to achieve one. Many females have the misconception that women don’t have the upper body strength to achieve a pull up. I’m here to tell you that mind set is a bunch of baloney. I’ve taught thousands of women, distant and in person, how to achieve and master pull ups. To my amazement many begin in their 40’s, 50’s and even 60’s successfully reaching their very first chin/pull up. There is no reason you have to fear the bar. There is no reason you can’t begin your pull up journey. 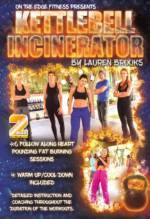 If you’re looking for a guide that has a magical gimmick and will promise you pull ups in 30 days without any work, this is not the guide for you. Although some people can get pull ups in less than 30 days, that is not a realistic time frame. Everyone achieves a pull up at their own pace. If you’re looking for a realistic path that lays out appropriate stepping stones that will literally build you a pull up strong body by building your pull up foundation, then you have found your pull up guide. 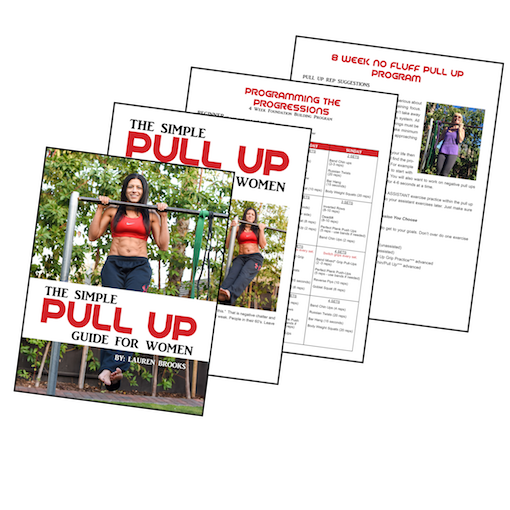 This pull up guide is an ebook with digital videos. It’s a full course that will take you to the path of achieving your dream of a pull up. As a busy mom of 4, has had 2 C-sections, I’ve started from scratch each time to get my own pull up back. I’ve worked with women of every fitness level daily on the bar for 15 years. With trial and error and tons of experience, I’ve created the most user friendly simple approach that will get you comfortable with the bar and eventually will get you doing reps of chin/pull ups! I’m going to cut right to the chase. To achieve a pull up it takes determination, consistency and intelligent training. If you’re not willing to do the work, then don’t waste your money. Practice a little bit almost every day as shown in the guide and you will be well on your way to that pull up. You must have access to a bar or rings to master a chin/pull up. I use these terms interchangeably because in my opinion a women doing a chin up or pull up are both equally amazing. Yes, technically a chin up is when your palms are facing towards your face and a pull up is when your palms are facing away from you. Now let’s stop talking and start pulling! Ready…. Set… Go!!! !